In March 2017, the Learning technology Team in AQD, needed to facilitate two webinars for Turnitin and Pebblepad as they were showcasing the system changes due to be rolled out over the summer of 2017. 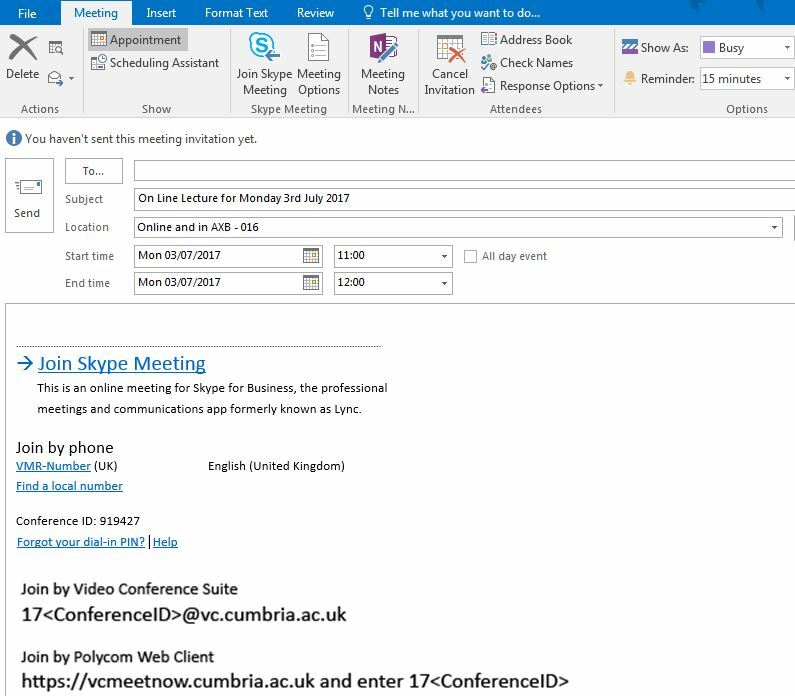 As the external companies were only visiting the Lancaster campus, we wanted to include staff from other campuses/locations as the enhancements were fairly significant and as a picture paints a thousand words, we could easily share the presentations via the “Present Desktop” option over the network during the meeting. With Skype for Business being readily available to all staff, and having proved itself to be reliable in terms of audio quality and in its simplicity, it was an easy decision to make when considering a webinar software solution. During the meetings we used Revo X tag microphones which are available from IT Services. They’re very easy to set up and the audio quality is great, picking up the presenter without any of the surrounding audible distractions. However, you can just as easily present from your workplace with the use of a headset and built in microphone. If you don’t have one, you can request one from IT Services. Both of the events were well attended with around 40 members of staff attending in the rooms and around 20 online of which none reported any issues with the audio or when the presenters shared their desktops to show the enhancements being rolled out over the summer. Our only lesson learnt was in the way we hoped to improve the experience during the Q&A’s, as we wanted to use more than 1 microphone during the Q&A’s. Unfortunately Skype for Business only allows 1 microphone per presenter, so we had to have another laptop in the room, with another presenter, which on the day, failed due to the Wireless Network going off, rendering the additional laptop useless during the set up. As such, we were restricted to time constraints and couldn’t fully test before the meeting. So, always plan, check, check and check. That aside, both meetings went very well, Skype for Business remained stable, the audio quality was great, and sharing the desktop with the audience over the network was effortless, so from a teaching and learning perspective, staff are be able to create an online meeting with students regardless of where they are or what device/PC they’re using and it should just work. AQD have previously tested a Skype for Business meeting with a member of the South West Ambulance Trust. The participant was based in Devon and was able to connect with an iOS device on a wireless network, yet still produced very clear video and audio.